Our plan is simple: we intend to contact the ISEE-3 (International Sun-Earth Explorer) spacecraft, command it to fire its engine and enter an orbit near Earth, and then resume its original mission – a mission it began in 1978. 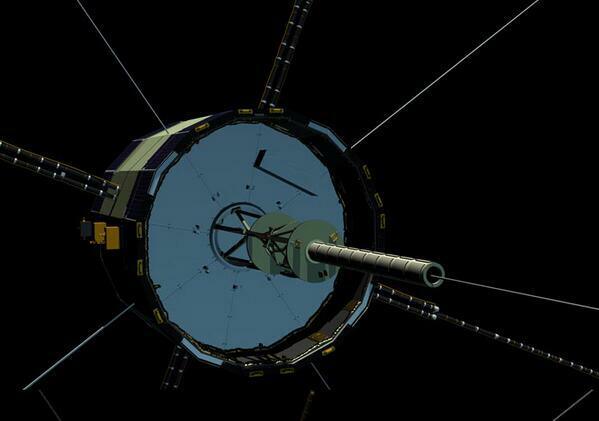 ISEE-3 was rechristened as the International Comet Explorer (ICE). If we are successful it may also still be able to chase yet another comet. Working in collaboration with NASA we have assembled a team of engineers, programmers, and scientists – and have a large radio telescope fully capable of contacting ISEE-3. If we are successful we intend to facilitate the sharing and interpretation of all of the new data ISEE-3 sends back via crowd sourcing. NASA has told us officially that there is no funding available to support an ISEE-3 effort – nor is this work a formal priority for the agency right now. But NASA does feel that the data that ISEE-3 could generate would have real value and that a crowd funded effort such as ours has real value as an education and public outreach activity. Our team members at Morehead State University, working with AMSAT-DL in Germany, have already detected the carrier signals from both of ISEE-3’s transmitters. When the time comes, we will be using the large dish at Morehead State University to contact the spacecraft and give it commands. The funding we seek will be used for things we have not already obtained from volunteers. We need to initiate a crash course effort to use ‘software radio’ to recreate virtual versions all of the original communications hardware that no longer physically exists. We also need to cover overhead involved in operating a large dish antenna, locating and analyzing old documentation, and possibly some travel. This activity will be led by the same team that has successfully accomplished the Lunar Orbiter Image Recovery Project (LOIRP) SkyCorp and SpaceRef Interactive. Education and public outreach will be coordinated by the newly-formed non-profit organization Space College Foundation. On Kickstarter: Digispark Pro - tiny, Arduino ready, mobile & usb dev board!